PAULA DENISE PARKER the daughter of Beverly Mae Parker and the late George Augustus Parker was born on October 25, 1963 in Baltimore, Maryland. She departed this life on March 20, 2019 after a short illness. She received her education in The Baltimore City Public School System. After completion, she became employed at the Bakery Express, where she remained employed until becoming ill.
Paula received Christ at an early age at Fountain Baptist Church, under the leadership of Rev. Charles Franklin. She loved children and helping others. She was a very selfless person who would do anything for others, Paula was always the life of the party, and was always singing and dancing with the rest of the family. In addition to her children, she raised her nieces and nephews, instilling morals and values in them. 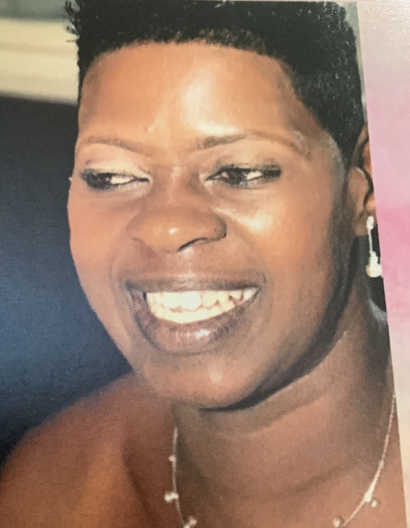 Paula leaves to mourn: two sons, Gregory Yerby and Keyon Urguhart; two daughters, Tracey Harrison and Jasmine Urguhart; their father, Clifton "Hooks" Urguhart; five grandchildren, Caden, Dashon, Heaven, Noah and D'onn; her mother, Beverly M. Parker; three brothers, Darrell, George and Cletis Parker; two sisters, Iris Parker and Charvette McLaurin; four nieces, four nephews; two great nephews; one great niece and a special niece, Denitra "Nitra" Conway; one sister-in-law, Carol Ann Parker; three uncles, Henry, Donald and Calvin; one aunt, Elaine; one great aunt, Doris Arrington; two special cousins, Eric Anderson and Maria Cozart; childhood friends, Cindy and Tiny; four best friends Alice, Bay-Bay, Doll and Curtis. Paula's aunt, Diane Anderson and her companion, Frank Alderman preceded her in death.